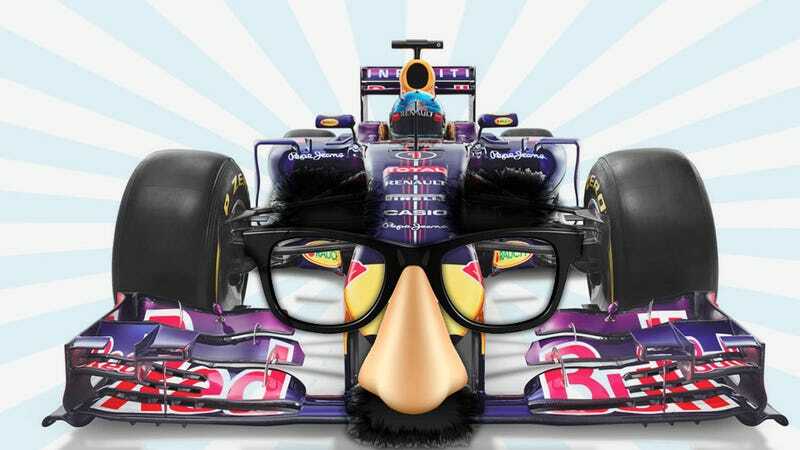 There's been a lot of talk about the new noses on the 2014 F1 cars — mostly about what sort of gentials they resemble. As much as I love genitalia, the immediate gonadal assumption of the new noses isn't really fair or accurate, which is why I'm happy to present this comprehensive chart of the 2014 F1 noses. I programmed the Jalopnik Mainframe (located in a nuclear-hardened bunker several hundred feet beneath Nathan Lane's illegal Malibu horse slaughterhouse) to assess each nose from three angles and then run a heuristic image-association search to determine what each nose most resembled. I think the results are fascinating, and they're 91% genital-free! So, give it a look. This chart is especially huge, so if you want to print it out for wall-mounted studying, have at it. The big version can be accessed here as well, in case you have trouble enlarging. Happy nose-viewing!